Coinciding with the 30th anniversary of the UN Convention against torture, the OMCT HAS launched its Campaign “10 Days of Activism against torture and ill-treatment” from the 1st to the 10th of December 2014. This is the first episode figuring human rights defender Adilur Rahman Khan, from Bangladesh. He was one of the 3 final nominees of the MEA 2014. The Martin Ennals Foundation just announced in Geneva – during a ceremony broadcast live on the internet – that the MEA Laureate of 2014 is Alejandra Ancheita from Mexico. She was selected by a Jury representing the broad international Human Rights movement (see below). 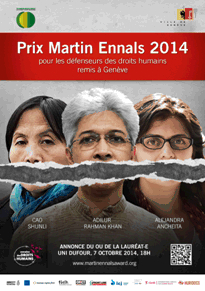 The City of Geneva and the Martin Ennals Foundation have set the day of the 2014 ceremony for 7 October 2014, 6 pm, at Uni-Dufour, Geneva, during the opening day of the Human Rights Week hosted by the University of Geneva. Save this date in your agenda and register as from now online at: http://www.martinennalsaward.org/. 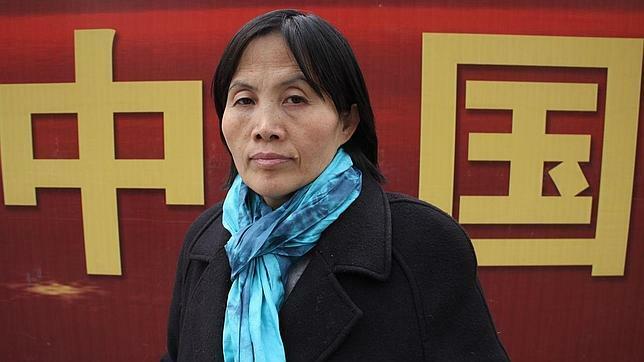 Ms Cao Shunli (China), who lost her life on March 14th, 2014, had vigorously advocated since 2008 for access to information, freedom of speech and freedom of assembly, encouraging strengthened domestic implementation of international mechanisms. 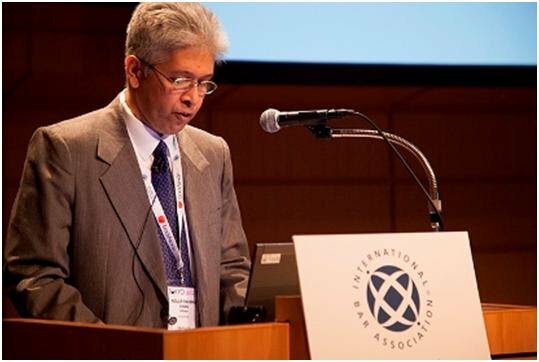 Mr Adilur Rahman Khan (Bangladesh) has worked since the 1990’s on a wide range of humain rights issues, such as illegal detention, enforced disapearances, extra-judicial killing, and elections monitoring with his non-governmental organization, Odhikar. 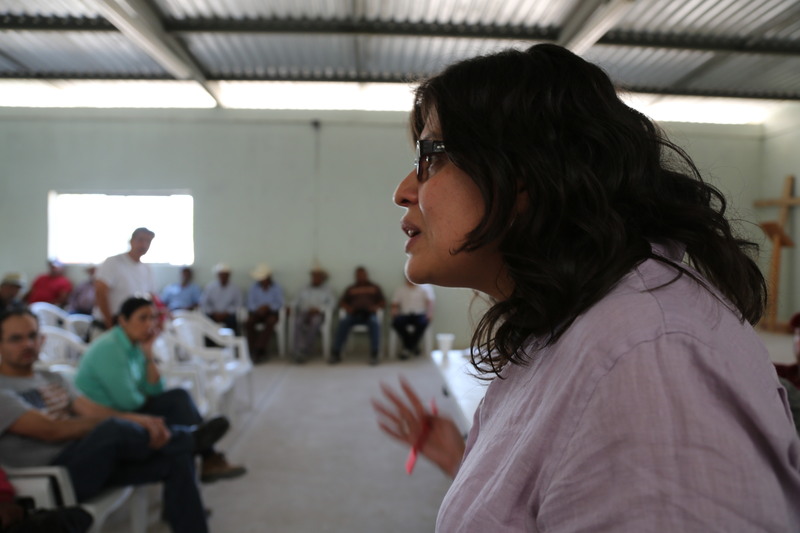 Ms Alejandra Ancheita (Mexico) founder and Executive Director of ProDESC, has worked for more than 15 years with migrants, workers, and indigenous communities to protect their land and labour rights vis a vis transnational mining and energy companies. The Jury of the Martin Ennals Award is made up of ten of the world’s leading human rights organizations: Amnesty International, Human Rights Watch, Human Rights First, International Federation for Human Rights, World Organisation Against Torture, Frontline Defenders, the International Commission of Jurists, EWDE-Germany, the International Service for Human Rights, and HURIDOCS. Bangladesh is trying to restrict human rights defenders such as Adilur of the NGO ODHIKAR, final nominee of the MEA 2014. The cabinet has approved the “Foreign Donations (Voluntary Activities) Regulations Bill, 2014”, which will likely become law soon. The Bill empowers bureaucrats to decide the fate of NGOs. All individuals or collectives, from NGO’s to volunteer groups, receiving foreign funds for implementing projects will be under constant surveillance under this law. The Treaty Body that oversees the implementation of the International Covenant on Economic, Social and Cultural Rights, composed of independent experts, recently completed its review of China‘s compliance. 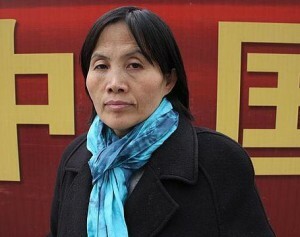 In its conclusions (called ‘Concluding Observations’), the UN committee expressed serious concern about ‘instances where labour and human rights activists, and their lawyers, have been victims of repression and reprisals while taking up cases of violations of economic, social and cultural rights’ and said that China is obliged under international law ‘to protect human rights and labour activists, as well as their lawyers, against any form of intimidation, threat and retaliation‘. Two days earlier, 26 May, the NGO Chinese Human Rights Defenders reported that Chinese authorities have detained a top rights lawyer and questioned dozens of activists and family members of victims of the 1989 military crackdown on the Tiananmen Square pro-democracy movement after they held a seminar to mark the sensitive 25th anniversary. “The rule of law does not exist in Bangladesh. The way the Rapid Action Battalion (RAB) abducted seven men, including a senior lawyer and a member of the mayoral panel of the Narayanganj City Corporation (NCC), on 27 April 2014, and murdered them, allegedly on behalf of a feuding faction of the ruling party, in exchange for a 60 million Taka (US$ 774,000) bribe, is proof yet again of this fact. The role of family members of a cabinet minister in masterminding the operation, police inaction in the face of knowledge of the abduction, and eyewash gestures at the highest levels of government confirm fears. The politics of blood and wealth reign supreme in Bangladesh; there is no space for the rule of law. A ‘chain of corruption’ has replaced the ‘chain of command’ in Bangladesh’s law-enforcement system, and the people are forced to pay more to the law enforcers than they do their government (For further details, please see an earlier statement on the subject). On 27 April 2014, Mr. Md. Nazrul Islam, a Councillor of the NCC, approached the district’s Sessions Court to seek permanent bail in a case filed against him and his followers by political opponents, the Bangladesh Awami League, i.e. the ruling party. At the court premises, Nazrul was under constant surveillance by plain-clothed members of the RAB. Nazrul’s associates caught one of the plain-clothed men, who happened to be armed, and handed him to the on-duty police officers at the court. The police released the man following intervention by a uniformed RAB officer, who came to rescue his colleague. Vehicles with “‘RAB-11’ signs were also noticed parked in front of the court. By 12:30 p.m., Nazrul and fifteen more persons, who were all accused in the same case, managed to get bail from the court. After a while, Nazrul, along with three associates and his car driver, left the court. Their car began heading towards Dhaka through the Dhaka-Narayanganj Link Road. Mr. Chandan Kumar Sarker, a senior lawyer of the Narayanganj Bar Association, whose car followed that of Nazrul, left the court for lunch at his home, located adjacent to the Dhaka-Narayanganj Link Road. The RAB team abducted Nazrul and his associates, allegedly from a place called Lamapara. Chandan’s car is reported to have arrived at the scene right when Nazrul and his associates were being abducted by the RAB. So there would be not witnesses to the abduction, the RAB team abducted Chandan and his car driver too. Within 24 hours of the abduction, Chandan’s car was found at the Gulshan Niketan area of Dhaka, while the car carrying Nazrul and his associates was found at Rajendrapur, Gazipur District, where a cantonment is situated. After three days, on 30 April, dead bodies of six of the seven men were found floating in the Shitalakkhaya river, adjacent to Narayanganj. The seventh body was found in the same river on 1 May. Each dead body had 24 bricks fastened to it, 12 in the front and 12 in the back. The bricks were placed in ration bags, similar to those distributed among security forces. The police officers later admitted to the media and local human rights defenders that they came to know about the abduction of seven people, including Nazrul Islam and Chandan Sarker, soon after the incidents occurred. However, the police did not take any action. The police did not include the names of any RAB officers in the complaint regarding Nazrul’s disappearance. This is the kind of immunity enjoyed by criminals in the RAB, and the goons of the ruling parties of Bangladesh. The deliberate avoidance of the police, other units of RAB and all the agencies in rescuing the abducted men alive also indicates the level of lawlessness that plagues the country. Lt. Col. Tareque Sayeed Mohammad, Commander of RAB-11, based in Narayanganj, is married to a daughter of Mr. Mofazzal Hossain Chowdhury (Maya), a cabinet minister of the incumbent regime. The RAB-11 Commander and his brother-in-law, Mr. Sajedul Islam Chowdhury, also known as Dipu Chowdhury (son of Minister Mofazzal Hossain Chowdhury), who is a business partner of NCC Councillor Nur Hossain, allegedly planned the abduction and disappearance of Nazrul, as a result of enmity between Nazrul and Nur, with Nur, allegedly, being a goon of Mr. Shamim Osman. Mr. Shamim Osman, a Member of Parliament from Narayanganj district won his seat uncontested in the January 5th fake parliamentary election (For further details, please seeAHRC’s statement on the fake general elections in Bangladesh here). Prime Minister Sheikh Hasina backs Mr. Osman; he has even claimed, in a press briefing, that he informed the Sheikh Hasina over telephone within ten minutes of the RAB abduction. Sheikh Hasina, who also happens to be the nation’s Home Minister, has not denied Shamim’s version of events. The Prime Minister and Home Minister Sheikh Hasina took no action to save the lives of the abducted seven. Her hands are stained with the blood of these seven victims. Following continued public protest, the government withdrew top officials from Narayanganj district two days after the disappearance of the seven men. The officers include the Deputy Commissioner (DC), the Superintendent of Police (SP), and three officers of the RAB-11, namely Lt. Col. Tareque Sayeed Mohammad, Major Arif Hossain, and Lt. Commander SM Masud Rana. The three military officers were deputed back to their original units in the army and navy. On 5 May, the government announced that these three military officers had been given forced retirements. The government has, however, not frozen their bank accounts or arrested any of the officers. Since the abduction and disappearance of the seven men, a number of people took to the streets around Narayanganj and other parts of the country. The district Bar Association continuously staged protests demanding the return of their member, Mr. Chandan Kumar Sarker. The lawyers called for a general strike in the district, which was supported by different Bar Associations in Bangladesh. Public protests have not stopped. The Narayanganj Bar Association, along with another organisation and the son-in-law of slain lawyer Chandan Kumar Sarker, has filed a writ petition with the High Court Division demanding the arrest of the military officers. The court has reportedly asked the authorities to explain why the government would not be directed to ensure ‘uninfluenced’ and ‘unbiased’ investigation into the murders. The authorities have also been asked why the government would not be directed to “oversee the performance of the law enforcement agencies in view of human rights“. Secretaries to the home, law, and public administration ministries, the National Human Rights Commission chairman, and the Inspector General of Police have been asked to reply in four weeks. The police have not yet identified all the alleged RAB perpetrators and no RAB official has yet been accused in the cases filed regarding the seven victims. Could this abduction and murder of seven men have been committed by but three officers? It is likely that more than a dozen RAB personnel were involved in the crime; this is something the government has been trying ignore. Bangladeshis know that the officers of the military and paramilitary forces – such as the Bangladesh Army, the RAB, and the police – enjoy impunity for the crimes they commit. Officers of the armed forces and ruling politicians and their associates and families are understood to be above Bangladesh’s Constitution and other domestic laws while the party is in power. Everyday, citizens are abducted by plain clothed men claiming to be the officers of the Rapid Action Battalion (RAB) and the Detective Branch (DB) of Police. No such incident has been met with a credible investigation. Citizen questions about the abductions, which are followed by either disappearance or the recovery of dead bodies, have not been answered. In few incidences the abductees have been found alive, following temporary disappearance. These victims and their families are usually more scared than ever. Nobody dares to share the true stories of their abduction, either publicly or privately, on fear of extrajudicial execution, and with an understanding that an official complaint will come to nothing. On the other hand, law-enforcement agencies continue to blame ‘criminals’ for such abductions and disappearances. The people of Bangladesh have been demanding that the RAB be disbanded immediately for its utter failure in acting under the purview of the laws of the land. Instead, the RAB, which claims to be an ‘elite force’, has always blamed ‘criminals’ for gross violation of human rights, such as the extrajudicial executions and enforced disappearances. If the RAB’s job is to blame ‘criminals’ for committing crimes like abduction and disappearance, criminals that use similar uniforms, vehicles, and mien across the country, then what kind of elite force is the RAB? The Asian Human Rights Commission and its sister organisation the Asian Legal Resource Centre recommended in 2006 that the government of Bangladesh disband the RAB. At that time, a Special Report titled “Lawless law-enforcement and the parody of judiciary in Bangladesh” was published in article2. The AHRC reiterates that the RAB should be disbanded, immediately, joining voices in Bangladesh making this demand at present. BANGLADESH: Chains of Corruption Strangle Nation — Asian Human Rights Commission.